Ever had important cables stolen from your property ? Use one of these devices to detect and warn you what is happening, either localised alarm or via GSM/SMS. For 230Vac, 380Vac and 525Vac 3-phase, and using the Strap-CT, for most MV installations up to 33KV. The CTM001 is a "loop detection device" and is a "stand-alone" solution for up to 650vac systems (this includes 525Vac mining voltages). If a motor or pump is installed at the "far" end of the loop then there exists a relatively low resistance path. If this path is then detected as "open circuit" then the cable has been cut. When the mains supply is present the system is in an "idle" state. 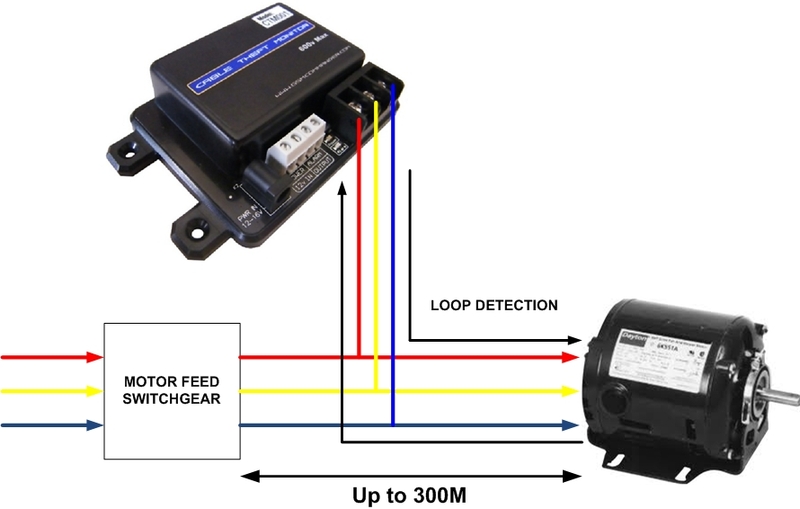 This non-intrusive system is an "earth loop fault" detection system and is activated if the cable is cut, with the armour earth being shorted to the supply lines, thus tripping the supply breaker and sending an SMS. 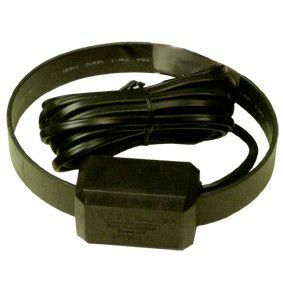 The CT strap is installed around the source of the cable to be protected and is used to send an SMS, via the GSMC0641, when the power fails on the system, normal power failures being ignored. No electrical installation is thus required, cables cut or joined. Cables using voltages up to 33KV can be protected and so this is suitable for standard 230VAc supplies, 380Vac 3-phase industrial systems and even main Eskom and Municipal power lines. The Strap CT can also be interfaced to a vibration sensor (IVS001), user sensity adjustable, to detect high cable movement. The modus operandi of criminals in the case of live power cables is very simple. They create a short-circuit on the line to trip circuit breakers upstream and thus render the cable safe. When the short-circuit is made, a large current flows in the earth conductor. The Strap CT device is able to detect this and provide a N/O contact signal to a GSM Commander. The strap CT can be fitted WITHOUT disconnecting or switching off the cable and can be used on LV and MV cables up to 66kv. Each Strap CT interface device comes with 1 Strap CT included, but can handle up to 4 separate Strap CTs (available separately). This should always be the very first solution to consider when planning a monitoring installation. Early warning is of utmost importance, because it gives the responder more time. If the site in question allows for access to be limited by physical barriers like gates, fences and walls, these barriers need to be monitored, and forced entry detected. Tools for this include traditional security devices such as cameras, PIR sensors, beams, vibration sensors and door contacts. 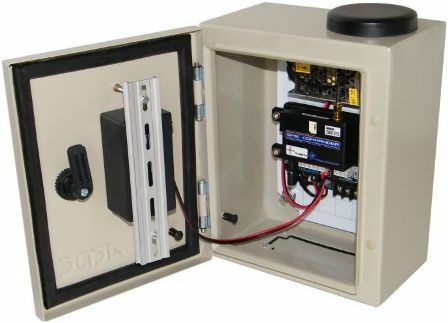 Examples of such measures would be to install door contacts on the doors of mini-substations or installing vibration sensors on a perimeter fence. 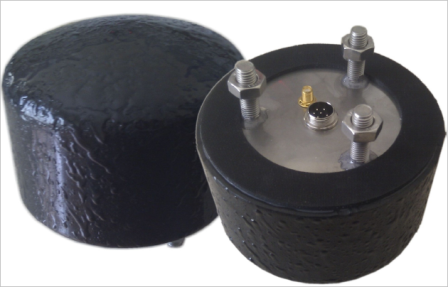 We can supply an “Intelligent Vibration sensor” (IVS) device that is hermetically sealed and 100% adjustable. Adjustability is of course of extreme importance in reducing false alarms, because no two installations are alike. A very simple approach (in power cable applications) is to simply monitor for the presence or absence of incoming power. The idea is that if no power is incoming, the cable has been cut. This is a very simple approach that is quite effective and economical, but lacks in specificity, since a power failure does not necessarily mean that a theft incident is under way. It also lacks in resolution, since one would not necessarily know the location of the incident. In some cases this is not a problem, because on a given cable run there may be only one “hot” location where a cable is likely to be stolen, and thus response teams will know exactly where to respond, even though there is no notification of where exactly it happened. 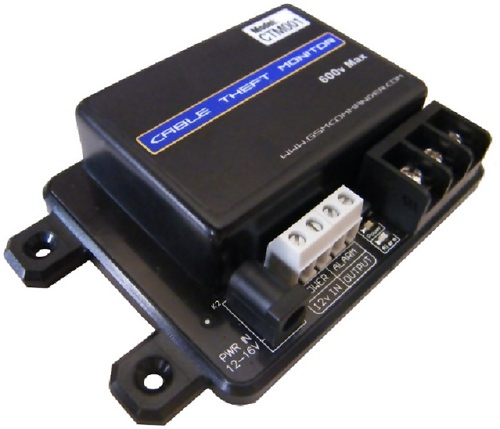 For LV applications, the GSM-CMR series provides power fail detection built-in.